These are instructions for how to check the project schedule. Creators can check the schedule of the project which they are assigned. 2.Open the project you want to check the schedule. *Creators can only view the schedule, cannot edit the schedule. Only the client of the project can make or edit schedule. You can check the tasks for your own or other members. 2.Choose "Show own tasks" to see your tasks. 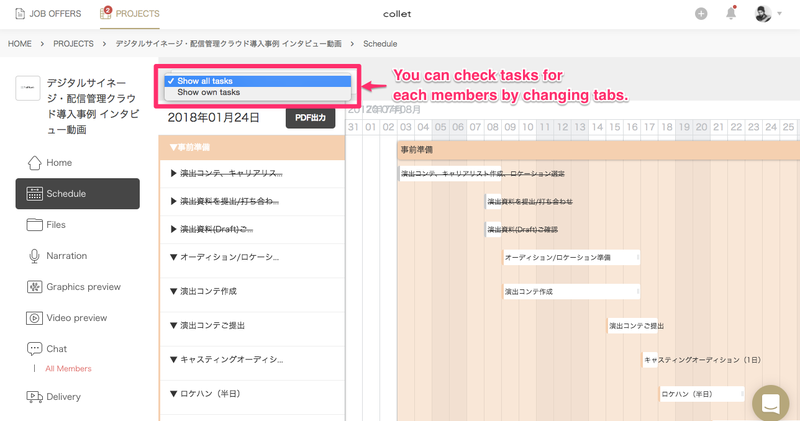 You can also see tasks of other members by choosing other members' tab. 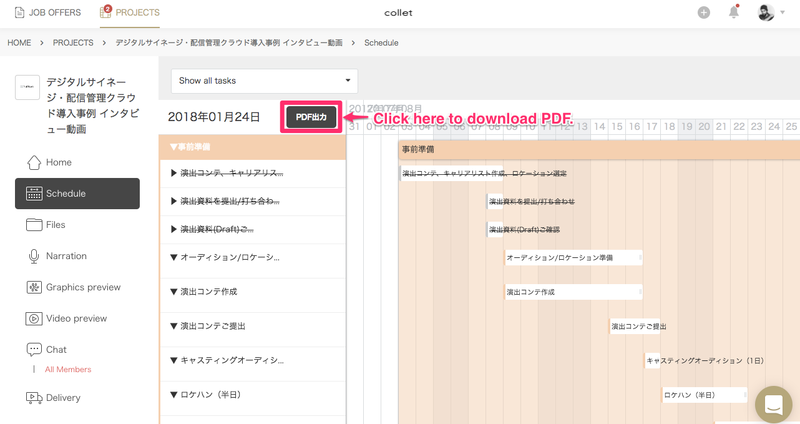 You can download PDF by clicking the button shown below.